The 23rd Arnold Classic: History Will Be Made. This year’s winner will join some pretty illustrious company. So who will it be? It&apos;s not the Olympic Games--but it&apos;s even bigger. Start with 175,000 fans supporting 18,000 athletes, competing in 44 sports. With sports ranging from MMA to gymnastics and judo to the strongman, the world&apos;s finest athletes will brave the chill of Columbus, Ohio to compete in the The Arnold Sports Festival. But there is one sport in Columbus that takes precedence over all others and that sport is, of course, bodybuilding. Why shouldn&apos;t it? The event is named after the most famous bodybuilder of all time, the one and only Arnold Schwarzennegger. There have been fourteen men who have taken the title in Columbus over the past 23 years, many of them the living legends in the sport of bodybuilding. Former Mr. Universe and Mr. Olympia runner up, Rich Gaspari won the contest. Known for his thick striated muscle, Gaspari set the bar high for all who were to follow. 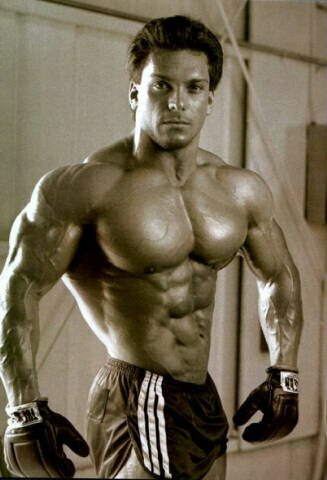 Gaspari Set The Bar High For All Who Were To Follow. Ashley was known for his great symmetry and conditioning. He was beaten earlier in the year by Shawn Ray at the Pro Ironman, but Ray failed the first ever pro bodybuilding drug test at the Arnold and had to forfeit his prize money and the coveted Arnold trophy. The runner up, Mike Ashley, having passed the doping test became history&apos;s champion. "Sugar" Shawn Ray, after losing the title in 1990 due to a doping scandal (well at least that&apos;s how the magazines played it at the time) he came back to prove that he was the rightful champion. 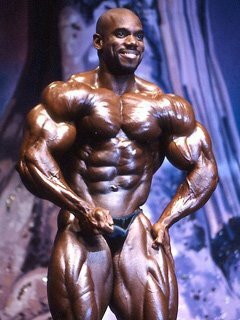 Ray went on to place 3rd in the Mr. Olympia, doping test passed he went on to take the title and keep it in 91. 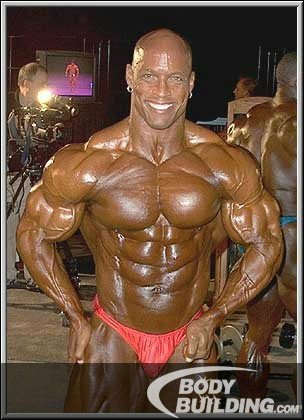 Shawn Ray At The 2001 Olympia. Vince "The Terminator" Taylor turned pro later in life than some if his fellow rivals such as Kevin Levrone, Dorian Yates and Shawn Ray and displayed a level of muscle maturity that had not been seen on an IFBB stage in some time. The Masters Olympia champion reigned supreme in Columbus. Ken "Flex" Wheeler, arguably the best year in his career, Wheeler won everything he entered except the Olympia where he placed 2nd to Dorian Yates. 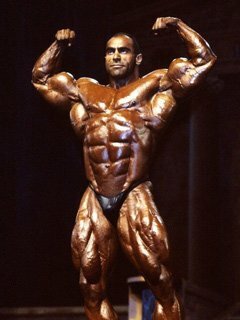 Wheeler would go on to set the all time record for most wins at the Arnold by winning the title again in 1997, 1998, and 2000. Record For Most Wins At The Arnold. The "Maryland Muscle Machine," Kevin Levrone was the new force in bodybuilding. Winning his pro debut and going straight to a runner place at the Olympia, Levrone was the man to beat. He took the Arnold title again in &apos;96 adding to his record-breaking number of IFBB Pro victories. Mike Francois was a mountain of muscle; the former priest in training displayed a thick and striated physique. Francois was one of those athletes pushing the boundaries on freaky mass in the mid 1990s. He retired from professional bodybuilding shortly afterwards to pursue a more spiritual calling. 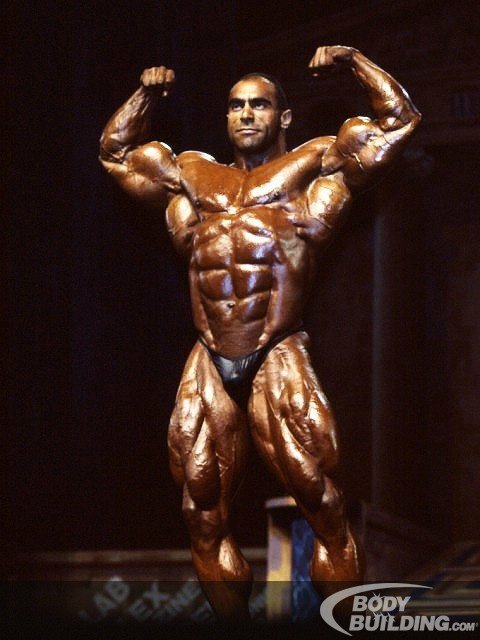 Nasser El Sonbaty pushed Dorian to the limit at the Olympia, but didn&apos;t have that edge to beat out the champ, finishing as high as second. His Arnold victory was the pinnacle of Sonbaty&apos;s career. Ronnie Coleman was the first reigning Mr. Olympia to compete at the Arnold. His dominance over his fellow competitors didn&apos;t let up and the most decorated bodybuilder in history took home the Arnold trophy, his $100,000 check, a Rolex watch, and brand new H2 Hummer; not bad for a day&apos;s work. Jay Cutler is the only man to win three titles in succession. Jay dominated this contest before deciding to focus on the Olympia where he went on to dethrone Ronnie Coleman. 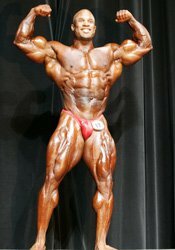 Dexter "The Blade" Jackson" was the first "light" bodybuilder to win this contest since Shawn Ray. His crisp conditioning and sharp lines earned him the second most coveted title in bodybuilding on three separate occasions. After his final victory in 2008, he went on the beat Jay Cutler and become Mr. Olympia. Dexter Jackson At The 2008 Arnold Classic Bodybuilding, Fitness And Figure Contest. 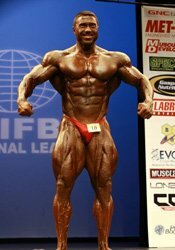 View More Pics Of Dexter Jackson At The 2008 Arnold Classic Bodybuilding, Fitness And Figure Contest. Victor Martinez and his superior mass and symmetry were enough to beat out defending champion Dexter Jackson. 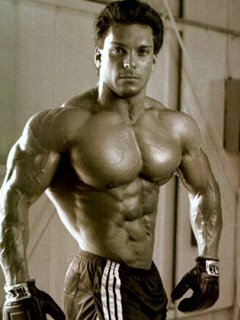 Billed as the number one contender for the Mr. Olympia title, Martinez later placed a highly controversial 2nd to a notably off peak Jay Cutler. Kai Greene, the predator had it all; freaky mass and conditioning, great balance to his physique and the Olympia title locked in his sights. He had two attempts at the Arnold ending in two sensational victories. Kai Greene At The 2010 Arnold Classic, Ms. International, Fitness International & Figure International. View More Pics Of Kai Greene At The 2010 Arnold Classic, Ms. International, Fitness International & Figure International. 2011: Who Will It Be? The stage is set this year for a new champion to be crowned. Will it finally be four-time Most Muscular award winner Branch Warren? Will Dexter Jackson match Flex Wheeler&apos;s all time record of four titles or will rookie Evan Centopani upset the veterans like he did at the Flex Pro? Fouad Abiad is making his debut at the Arnold and he is coming in hot off the heels of a 3rd place finish at the Flex Pro. His conditioning will need to be a little better than what it was in L.A if he is to be in with a chance of making it to the posedown in Columbus. With that, his added mass and great symmetry will be hard to beat. View Fouad Abiad&apos;s Contest History Here. This kid got the 2011 season off to a roaring start, by beating former Mr. Olympia and three time Arnold Champion, Dexter Jackson. Evan&apos;s huge mass and Dorianesque style of conditioning will be hard to match. He is definitely in the running for a victory in Columbus. View Evan Centopani&apos;s Contest History Here. The X Man has placed as high as 3rd here at the Arnold; that was back in 2007. However, the 45 year old IFBB veteran still has some gas left in the tank and if he can bring his A game to Columbus he will upset some of the younger competitors and will definitely be in the running for a top 3 finish. View Toney Freeman&apos;s Contest History Here. As a former Mr. Olympia and former three time Arnold Champion, Jackson has more than enough pedigree to be one of the favorites to win. After a surprise defeat in L.A last week he is sure to be gunning for revenge and to prove to both his fans and the judges that he still means business. 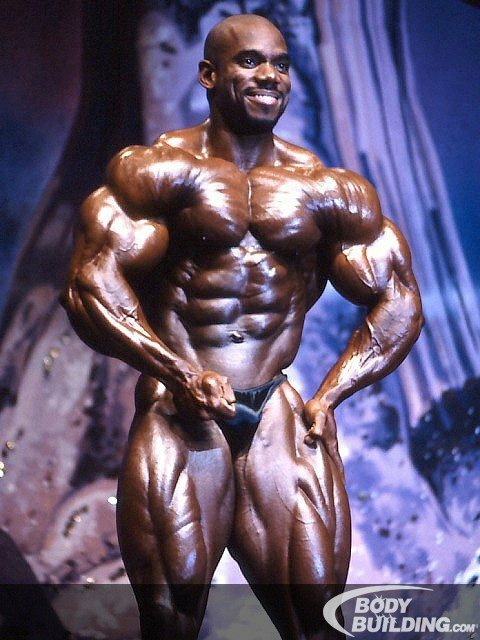 View Dexter Jackson&apos;s Contest History Here. With four previous appearances here at the Arnold, placing as high as 9th, Johnnie Jackson is a fan favorite. He has struggled with his conditioning in the recent contests but brought back his usual thick and shredded physique for last year&apos;s Olympia and narrowly missed out on a top 10 finish. Should Jackson bring the complete physique that we saw in Vegas, he could easily be fighting for a place in the top 6. View Johnnie Jackson&apos;s Contest History Here. 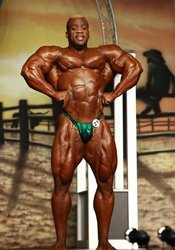 Martinez won this contest back in 2007 and later placed 2nd to Jay Cutler at the Olympia, which many felt he could have won. Since then he suffered a serious leg injury which has hindered his performance. That being said, Martinez still possesses enough mass and has one of the most symmetrical physiques in the IFBB. He could very easily pull off a win should he nail his conditioning. View Victor Martinez&apos;s Contest History Here. After winning the Arnold Amateur last year, Obaid made his pro debut in sensational fashion by winning the Europa Super Show. At 5&apos;8 and 250 shredded pounds of muscle, he has the arsenal to take on all comers. View Essa Obaid&apos;s Contest History Here. Pakulski started off the 2011 season with a much improved overall physique. The added mass to his upper body allowed him to be more competitive among the IFBB elite such as Dennis Wolf and Dexter Jackson. I felt his conditioning was lacking ever so slightly at the Flex Pro and if it improves for Columbus, he could definitely find himself fighting for a place in the posedown. View Ben Pakulski&apos;s Contest History Here. Poland&apos;s latest export and IFBB superstar, Piotrkowicz made his Arnold debut a year ago where he placed 10th. He weighs in at a thick and shredded 250lbs but still requires some refinement to his physique before he can be in the running for a place in the finals. View Robert Piotrkowicz&apos;s Contest History Here. 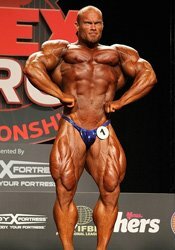 Rockel finished the 2010 season by placing 6th at the Olympia; he has placed as high as 6th here at the Arnold and will most certainly be gunning for top honors. Should he bring the level of conditioning he brought to the Olympia he will no doubt be fighting for a place in the top 3! View Ronny Rockel&apos;s Contest History Here. This mass monster has placed as high as 8th here at the Arnold. He has a tendency to compete a little too heavy and is penalized accordingly. Should he turn up in shape like he did in 2009 he will be battling it out with the likes of Ben Pakulski for a place in the final 6. View Sergey Shelestov&apos;s Contest History Here. I think only Chris Cormier (6 runner up finishes) can understand the torment that is felt by Branch when it comes to the Arnold. After winning 4 Most Muscular awards and not actually winning the contest, Branch is ready to take on whoever gets in his way. Warren is the highest ranking pro in the contest and the one athlete in the driver&apos;s seat. If bodybuilding was a betting sport, Warren would be the odds on favorite. View Branch Warren&apos;s Contest History Here. The Flexing Dutchman placed 7th here last year and went on to take first at the NY Pro, which is not bad for a rookie pro year. However, his conditioning later in the year stopped him from earning a place in the final 10 at the Olympia. He does possess enough mass and definitely has the symmetry to make it into the final six here in Columbus but he must bring the conditioning that earned him the right to stand on the Arnold stage in the first place. View Roelly Winklaar&apos;s Contest History Here. After a visibly disappointing 4th place finish at the Flex Pro, Wolf will most certainly be out for blood in Columbus. 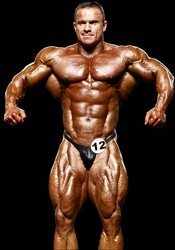 Wolf possesses the largest X frame in professional bodybuilding; he has delts like soccer balls and quads with the sweep of a Welch longbow and he could easily be standing center stage when they announce the 2011 champion. View Dennis Wolf&apos;s Contest History Here. By the time Saturday morning comes and prejudging is underway, the fans are going to truly get their money&apos;s worth. With five athletes that have what it takes to actually win the title, it is going to be a hard fought battle and the judges will have their work cut out for them. I don&apos;t think he will leave anything to chance; we are going to see the best Branch Warren we have ever seen. I think his combination of mass and conditioning will be enough for him to warrant a battle for first with Branch. He will be sharper than what he was at the Flex pro, but it won&apos;t be enough to out muscle Branch or Evan. After a disappointing Olympia, Roelly should be in the best shape of his life. If he is, he will find a place in the finals for certain. Beaten by Abiad in L.A, I think the battle between them will continue, although I feel with a little more conditioning he could get the edge. Although much improved from last season, this contest is going to be about conditioning so he will need to be a little sharper than last week if he is to place higher. So there you have it, my predictions for the 2011 Arnold. We will have to wait until Saturday night to see if my crystal ball actually works. See you all in Columbus!